Curved vanes, designed like folds of drapery, our Cadence Soft Fabric Vertical Blinds will bring elegant style and incredible function to your home. Improve the atmosphere and lifestyle within your home with features like sound absorption or light filtering fabrics. 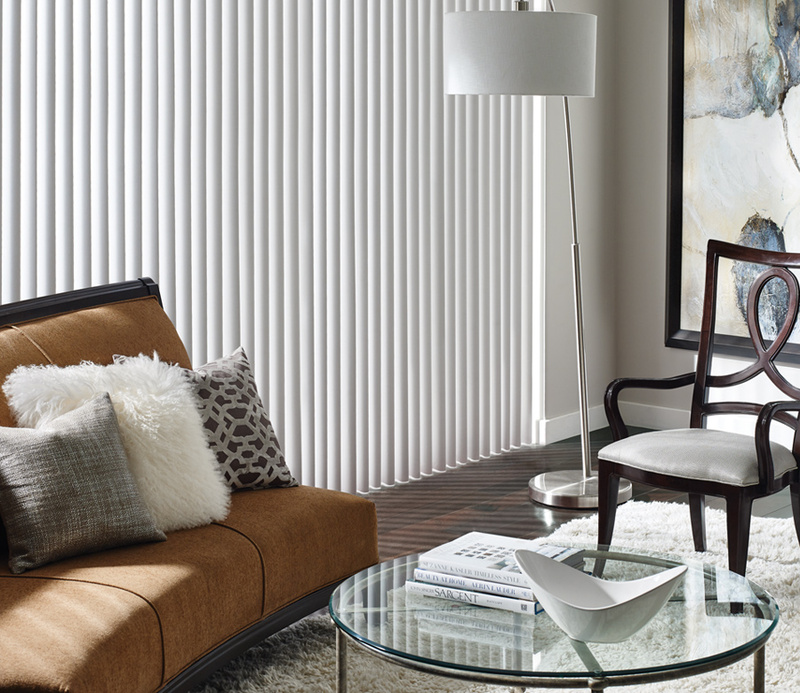 Hunter Douglas has created a specialized headrail to reduce light gaps and maintain smooth operation.